Across today’s evolving battlespace, our forces need to stand at the ready — prepared to deploy anywhere in the world at a moment’s notice. 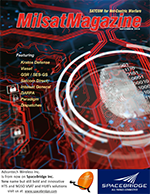 When a military crisis unfolds, the nation’s warfighters must be equipped with the latest advancements in technology to ensure they maintain and secure the tactical edge against hostile actors. Historically, the U.S. Department of Defense (DoD) has been the driver of technological innovation. Starting with the space race that propelled Americans to the moon in the late 1960s, to the creation of the World Wide Web, the DoD pushed the boundaries of what the world thought was possible to implement. Yet, over the past 25 years, a shift has occurred in many areas — technology leadership is no longer being driven by the military, but rather by the private sector. Driven by exponential market pressures, today’s commercial industry clearly leads development in mobile networking and satellite communications; this is technology that is now essential for nearly every warfighter mission set. 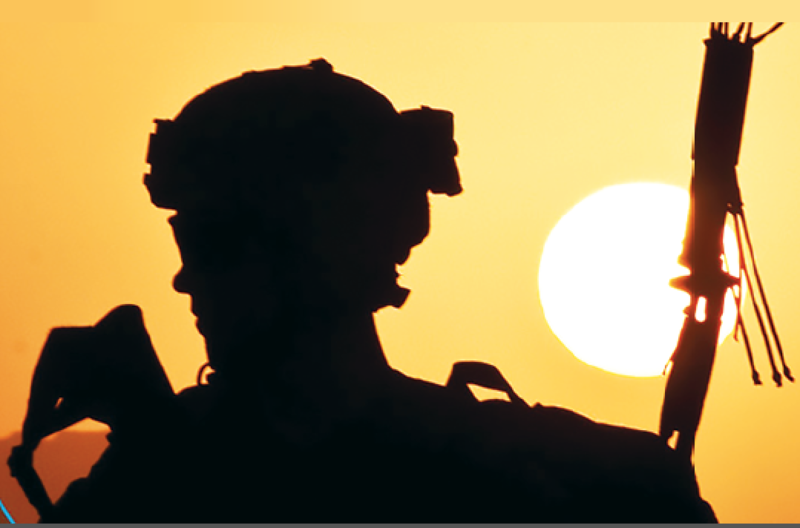 As threats from worldwide terrorist organizations and near-peer adversaries continue to grow, warfighters must be provided with the most advanced technology and communications solutions available. While a number of military leaders are keenly aware and supportive of the need to leverage the power and speed of commercial innovation, such views are still not widely accepted. In fact, the U.S. Government must be transformed about the way in which agencies and organizations think about, acquire and deploy new technologies. At Viasat, a new approach is being taken to government procurement. Viasat is able to identify and apply the technologies so desperately needed to rapidly solve actual battlespace challenges. 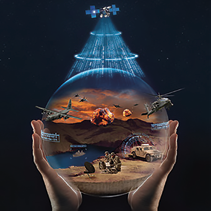 Through an agile development process and flexible business model, Viasat continually develops new capabilities to meet warfighter requirements as a non-developmental item (NDI). This unique approach allows the company to deliver game changing products and services in a matter of months, compared to what often takes nearly 10 years through standard government procurement practices. An example is a commercial model-at-work — the development of Viasat’s AN/PRC-161 Handheld Link 16 (HHL16) radio (see image to right, center). In June of 2014, there was an air strike that marked one of the most tragic “friendly fire” incidents in more than a decade of U.S. military operations in Afghanistan. When Viasat learned of this calamity, the company’s team immediately acted — a better way had to be developed to assist in preventing similar friendly fire incidents in the future. Viasat met with active and former military personnel and learned that targeting coordination, which includes the positions of friendly fire and ground forces, was conducted almost entirely by voice communications between the Close Air Support (CAS) pilot and warfighters on the ground. Due to a multitude of factors, including intermittent and unreliable communications, Viasat learned this was an imprecise process that had to be changed. Today, Viasat’s AN/PRC-161 HHL16 radio provides precise targeting coordination through what is now called Digitally Aided Close Air Support (DACAS). Pilots and JTAC’s are now equipped with a tool that provides precise position and location accuracy and reliable communications, so that deadly mistakes are less likely to happen. Viasat’s development of the AN/PRC-161 is but one example of successful communications provisioning; by leveraging the power of technology leadership and the agility of commercial innovation, the DoD can now ensure they are delivering lifesaving technology to warfighters when most needed — on the battlefield. At Viasat, the steps the DoD is taking to provide military forces with commercial technologies is most heartening; however, more needs to be done to ensure cultural inertia does not bog down development and that an overly complex acquisition processes becomes just a reminder of past challenges. Leveraging commercial innovation is a largely untapped opportunity for military and government leaders to revamp their acquisition models for the 21st century — leaders must accelerate the deployment of new warfighter capabilities to shorten missions and save lives. Ken Peterman serves as Viasat’s President of Government Systems, a market leader in tactical networking and Link-16 datalinks; information assurance and cybersecurity; assured, high capacity satellite communications; and air/ground situational awareness. Under Ken’s leadership, Viasat is leveraging shifts in technology paradigms to bring game-changing operational capabilities to the warfighter faster than ever before to dramatically enhance mission efficacy and improve safety for warfighters both in the U.S. and among international coalition forces.